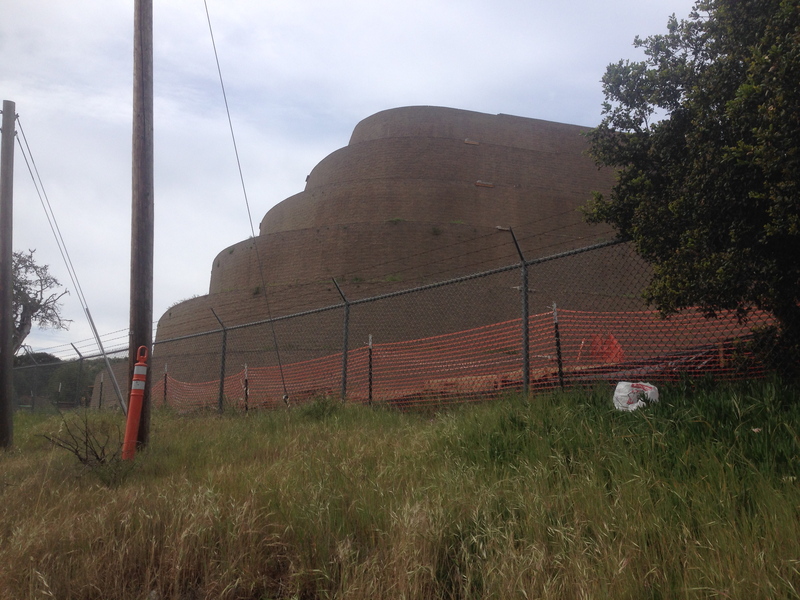 The mayors of the Monterey Peninsula admitted today that the mammoth cinder block monument rising menacingly skyward along the side of Highway 68 is not really related to airport expansion, but is instead a modern sacrificial meant to propitiate the gods of the State Water Resources Control Board. “Since our residential ratepayers are already among the stingiest water users in the state and asking the commercial sector to do more is completely unthinkable, we believe human sacrifice is the only remaining avenue for proving our seriousness to the SWRCB,” the mayors explained in a joint statement. “We know it’s been twenty years since the SWRCB first told us we had to stop illegal pumping of the Carmel River and that we haven’t made any serious progress in all that time. Sure there have been small projects proposed over the years that could have reduced, or even eliminated the illegal pumping, but those projects wouldn’t also have provided new water for growth, so of course we had to reject them. How could we possibly get the ratepayers to support a massively expensive project, if they didn’t have the SWRCB Cease and Desist Order hanging over their heads? “Some have suggested the commercial sector should be subject to the same tiered water rate system that punishes residential water-wasters, but that would be going too far. After all, commercial water users can only get the preferred low rate if they make a really, really serious promise to use water wisely. It would be insulting for us to ask for actual proof. “We’ve done everything we can to get the SWRCB to modify their order, but they just keep turning us down. We’ve agreed to have Monterey Peninsula ratepayers foot the bill for desalinating water for Ft. Ord developers and other Salinas Valley water rights holders. We’ve started forcing residential ratepayers to subsidize commercial ratepayers. We’ve agreed to pay for the least cost-effective desal plant in history. Yet, nothing has been enough. This entry was posted on Wednesday, April 1st, 2015 at 11:57 am and is filed under Carmel River, Politics, Water. You can follow any responses to this entry through the RSS 2.0 feed. You can leave a response, or trackback from your own site. Thank you XT. I will avoid expressing dissatisfaction with CalAm immediately. April fools! Great pic of the pyramid. I want to know more about it. Got any citations? What do they even call the thing? …stay in line please, we know you are anxious to participate, but only one sacrifice at a time. How else are we to keep count? !